I love my flip flops. I love them from March (late March if possible) to October. As time and fashion as evolved, so has my stash. 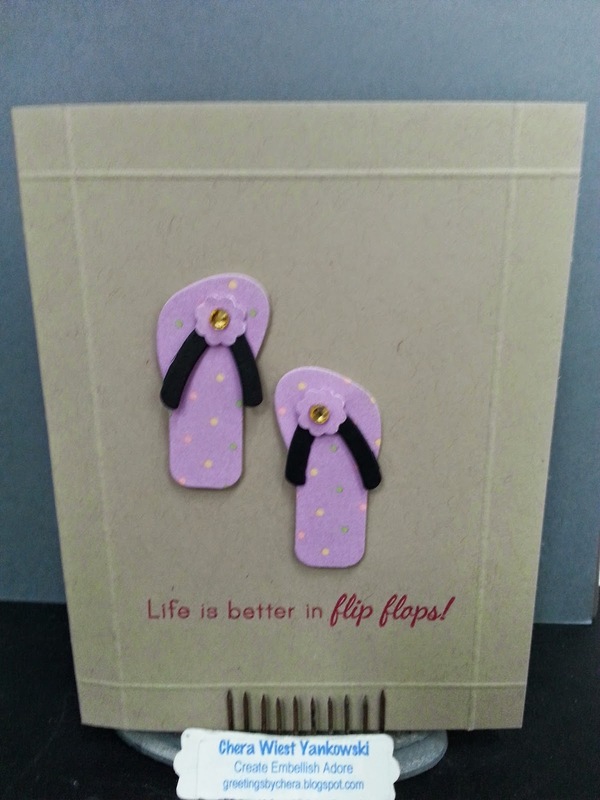 I have athletic flips, dressy flips & everyday flips. Colors, gems, materials of all types. Addiction? Not quite. .. well maybe...Haha. 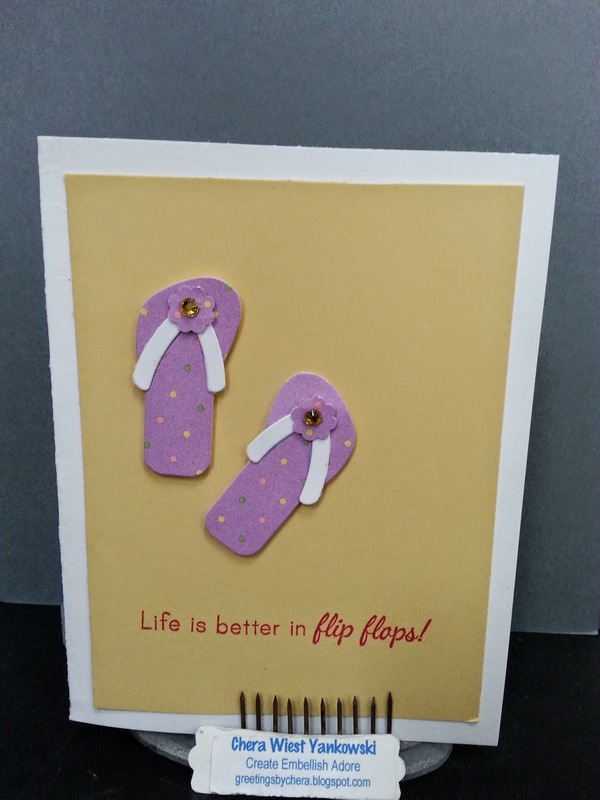 Fun flip cards for friends as I'm thinking of them this summer! Have a great day! Thanks for stopping by! Hug the ones you love.